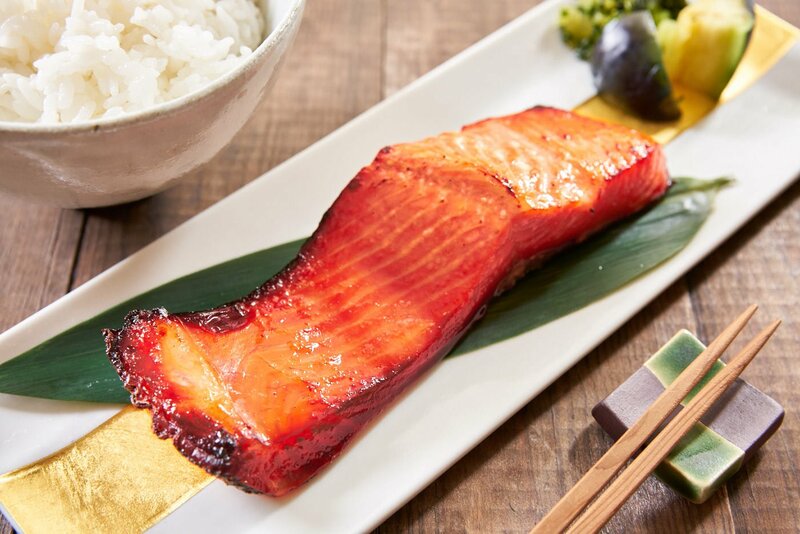 Cured in a simple three-ingredient marinade, Miso salmon is an easy, flavorful entre that strikes a sublime balance between savory and sweet. Because you can prepare it up to a few days in advance, it's perfect for a quick weeknight meal. This might be one of the most requested dishes on this site, and ironically it’s something I make almost weekly at home, which is why I figured it’s high time I share my miso salmon recipe with you all. 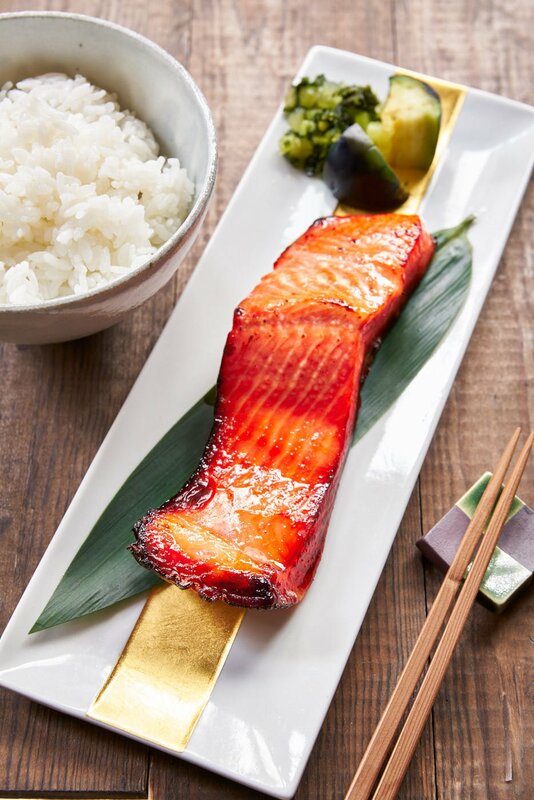 In Japan, Miso Salmon (鮭の味噌漬け) is part of a category of dishes called Misozuke(味噌漬け), which literally means “pickled in miso.” The fish is cured in sweet miso, which draws out excess liquid from the fish preserving it for up to a week, while also seasoning the fish. It’s also sometimes called Saikyouzuke(西京漬け), after the light colored and minimally fermented miso that’s used around Kyoto. While pickling food in miso has been around for at least 1000 years, the process of curing fish in miso was first documented in Kyoto around 500 years ago. The capital of Japan for over 680 years, Kyoto is located 65 kilometers inland. Before the bullet train (which turns the journey into a 13-minute ride) and before modern refrigeration, it was a day’s trek from the port city of Osaka to Kyoto, which meant fish had to be preserved to make the journey. In the beginning, miso cured fish was an expensive delicacy reserved for meals preceding formal tea ceremonies, but as Japan entered the Meiji period and the capital was moved to Tokyo in 1868, this delicious and practical preparation spread throughout Japan. 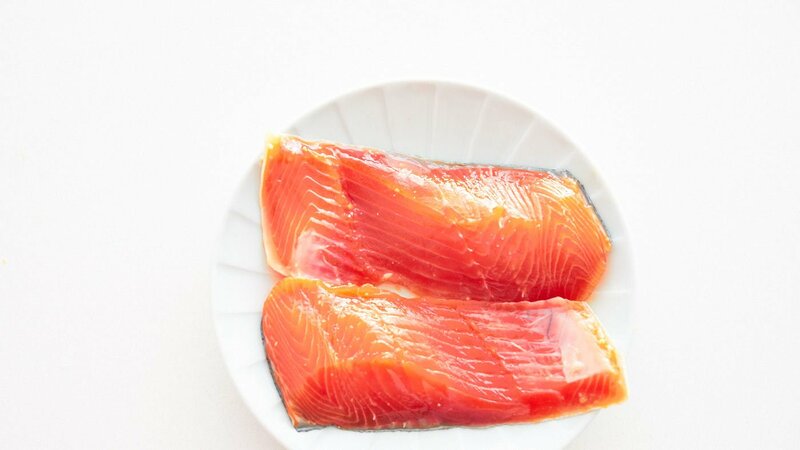 While white meat fish was the traditional pick for making Misozuke, salmon is available almost anywhere these days, which is probably why it’s become so popular. The suffix “zuke” (漬け) means pickled, and in addition to Misozuke, there are other types of marinated fish such as Kasuzuke (粕漬け), which is cured in sake lees, and Mirinzuke (みりん漬け), which is cured in mirin. 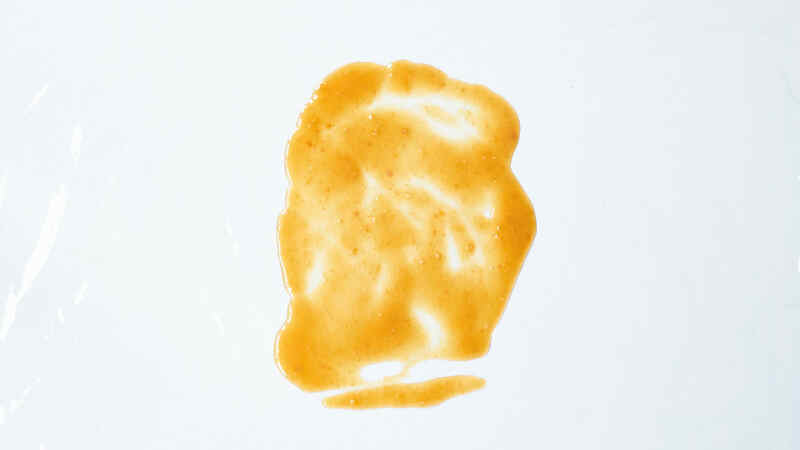 There are three mechanisms by which miso preserves fish. The most obvious is that the salt in the marinade inhibits the growth of microbes. The second is that that the salt draws out excess water from the fish through osmosis, and less moisture means it will keep longer. Finally, unpasteurized miso (as well as sake lees) contains a filamentous fungus called koji, which has preservative powers through fermentation. 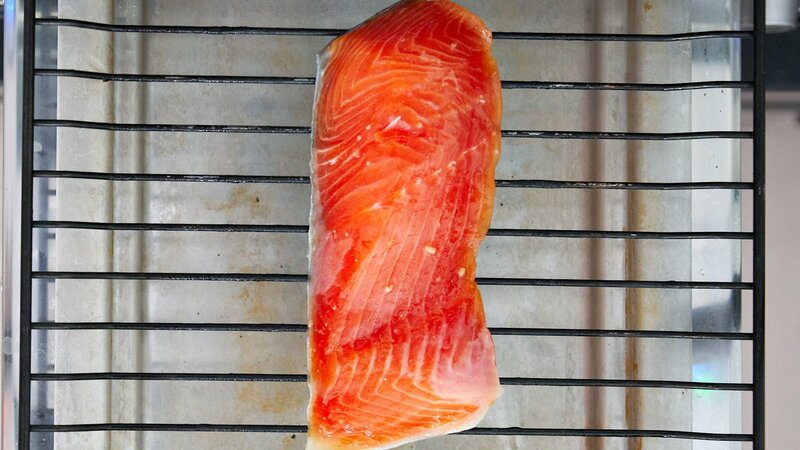 Although we’re blessed with modern refrigeration these days, this curing method is still a great way to make a piece of fish last much longer than it usually would. Great, if you’re the busy type because you can prep this during the weekend and enjoy miso marinated salmon throughout the week! Although many western chefs embellish their miso with ingredients such as garlic, ginger and sesame oil, traditional Misozuke is simply made with miso, sake, and possibly some type of sugar (this depends on the sweetness of the miso you use). You’re welcome to put your own spin on this, but I love the simplicity of the traditional version as it highlights the delicate flavor of the fish by balancing the nutty miso with the sweet umami of the sake. If you want to experiment with different flavor profiles, I suggest starting with the miso. There are dozens of different types of miso ranging in color from creamy lemon to burnt sienna to coffee black. 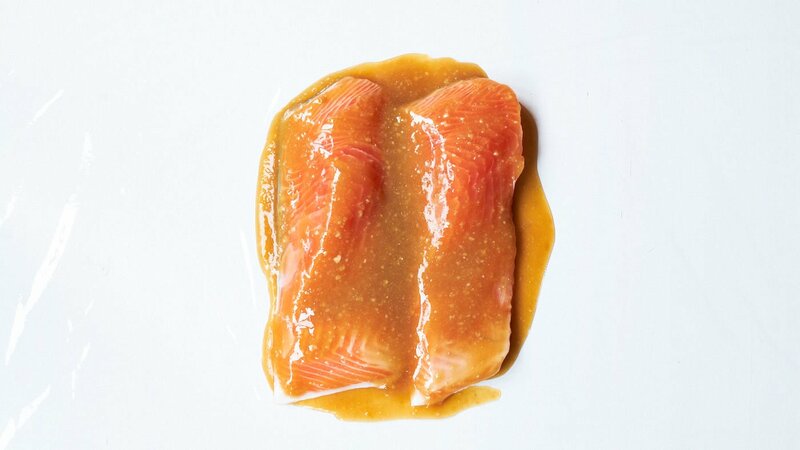 I usually use lighter colored miso for curing fish, as they tend to be fermented for a shorter amount of time, making them milder, but salmon has a bold flavor and can stand up to darker miso just fine. If you’re feeling particularly fancy, you can even mix a few misos to come up with your own blend. The sake in the marinade is there for two reasons. The first is the practical consideration of thinning the miso out so that it’s easier to spread. The second is that sake contains a lot of amino acids, which amps up the umami in the marinade while lending a mild sweetness. When choosing a sake, it doesn’t have to be super expensive, but be sure to buy one you wouldn’t be opposed to drinking. “Cooking Sake” is very low quality and has additives such as salt to make it unpalatable (to avoid alcohol tax). If you’re using Saikyo miso, there’s no need to add any sugar to the marinade, but if your not, it’s likely that your miso doesn’t contain a lot of residual sugar. One option is to use mirin, but I’ve found that it’s tough to find real mirin outside Japan (most of it is alcohol with flavorings and corn syrup). That’s why I like using malted rice syrup, which is made using a similar process to mirin and contains a high percentage of maltose, a sugar that will give your fish a lacquer-like sheen without making it taste cloyingly sweet. You can find it in health food stores as well as on Amazon. Once the salmon is cured, you’ll notice the marinade will be much more watery than when you first applied it. The fish will be firmer, with a more intense hue. This means it’s ready, and all you have to do is scrape off the marinade and cook it. You want to do a good job of getting rid of as much marinade from the exterior as you can, or else your salmon will burn. As for cooking it, you have a couple of options. The traditional way is to grill it, but both pan-frying and broiling work well, and the results are more consistent. You can check out both methods in the recipe below. If you go the pan-frying route, be careful not to have the heat up too high; otherwise, the salmon will burn before it’s fully cooked. As I mentioned earlier, Saikyozuke isn’t just for salmon, and this miso marinade works for almost any protein. The one suggestion I have is to use a protein with a fair amount of fat on it. That’s because the curing process removes excess water from the meat, which can render it dry when cooked. For fish, I recommend oily fish like Sablefish (black cod), Patagonian Toothfish (Chilean Seabass), or Butterfish. If you’re going to do this with meat, chicken thighs, pork rib chops, and ribeye are all good options. 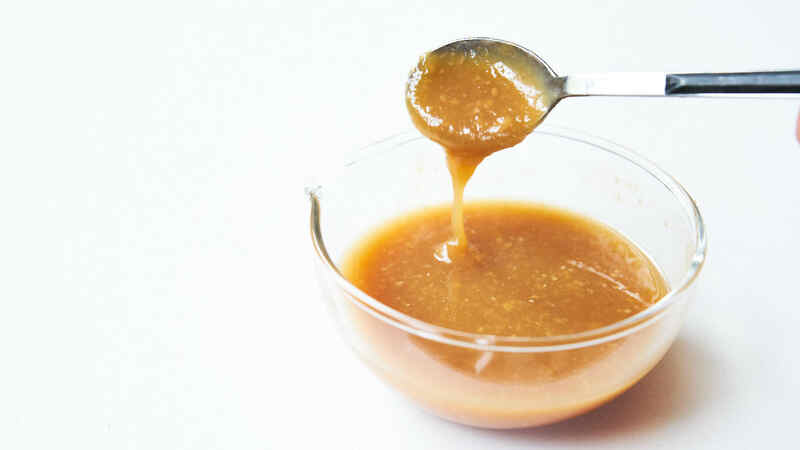 In a bowl, mash together the miso, brown rice syrup and sake until it forms a smooth sauce. 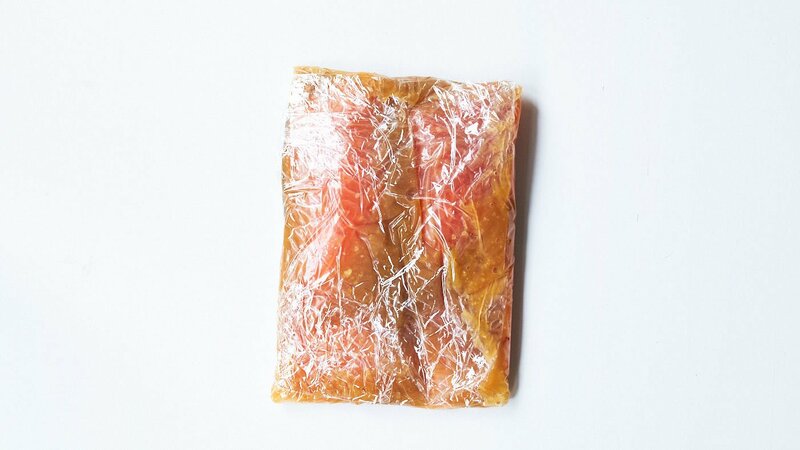 Lay a large sheet of plastic wrap on your work surface and spread a quarter of the sauce on the wrap about the size of 2 salmon fillets. Place the salmon on the sauce and then drizzle another quarter of the sauce on top of the salmon. Repeat with the rest of the salmon. 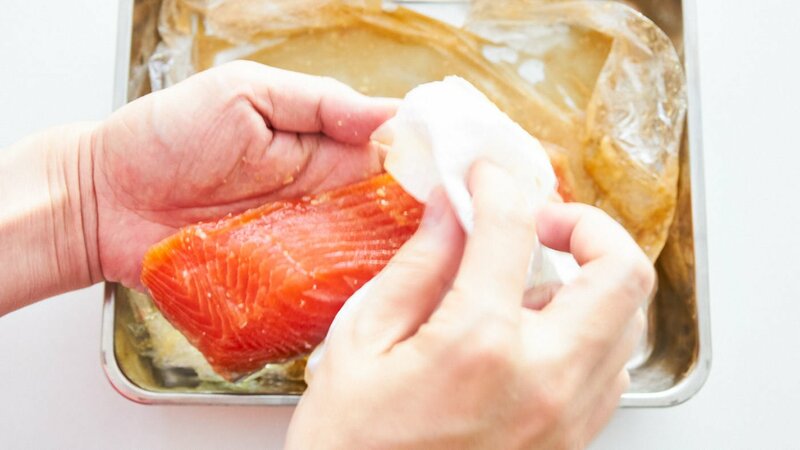 Wrap the salmon tightly with the plastic wrap, pressing out any excess air. Place the salmon on a tray and cure in the refrigerator for at least 2 days, or up to 7. Heat a frying pan over medium heat and drizzle a little oil in the pan. 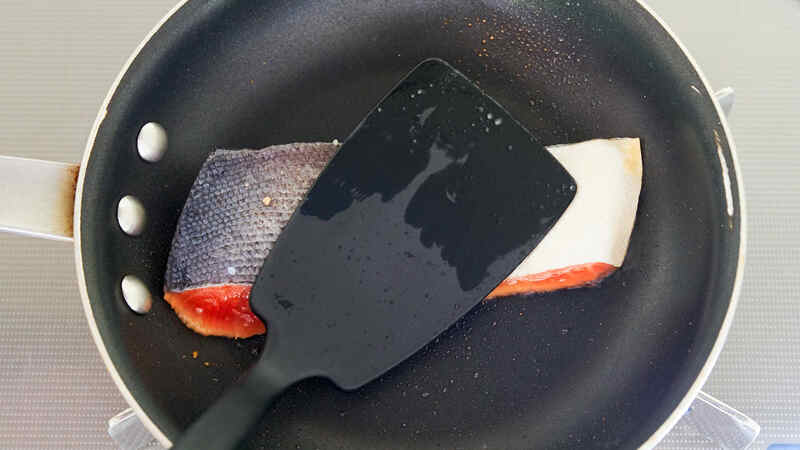 Add the salmon skin-side up and use a spatula to ensure the salmon is making good contact with the pan. The sugar in the marinade will burn easily so adjust the heat down if you notice the salmon is browning faster than it's cooking. 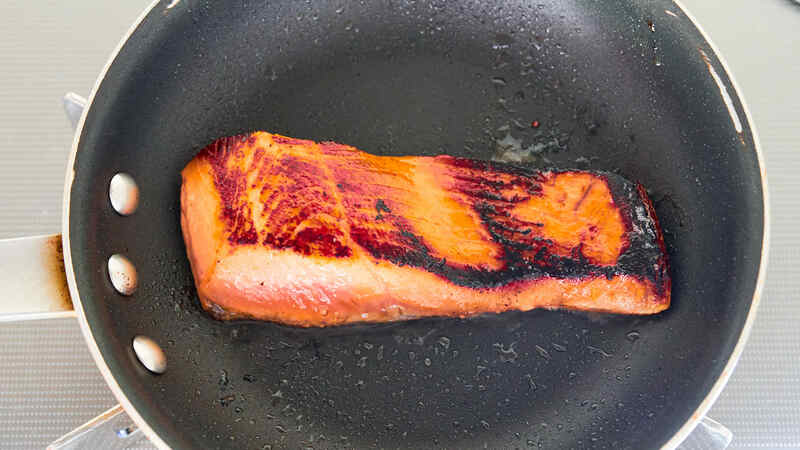 When the salmon has browned on one side, flip it over and continue pan-frying it until the salmon is cooked through. Move your oven rack to the top position and preheat your broiler. Set a cooling rack over a sheet pan and use an oil-soaked paper towel to grease the rack. Place the salmon skin-side down on the rack. Broil the salmon until it is cooked through and the glaze has caramelized around the edges. Where do you find brown rice syrup? Can I make the syrup by scratch? Hi Jan, any natural foods store should carry it, including places like Whole Foods. I buy it on Amazon. You can make it in theory, but it involves turning rice into sugar using a fungus, and then the resulting sugar needs to be filtered and concentrated, so it would likely take a lot more effort that it’s worth (kind of akin to making soy sauce from scratch).